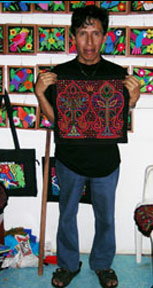 Crossroads Trade is a retailer and wholesaler of ethnic arts with an emphasis on uncommon traditions and outstanding quality. Areas of concentration include textiles, products made from recycled materials and Inuit art. 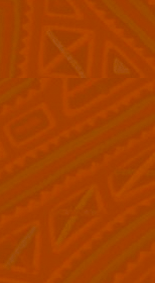 A fair trade business, Crossroads Trade buys directly from individual artisans, cooperatives, economic development projects and fair trade wholesalers. Wholesale inquiries are welcome. 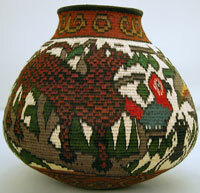 Crossroads Trade wholesales select wares from Panama, Bolivia, Peru, Ecuador, and Palestine. Crossroads Trade welcomes your feedback and ideas. 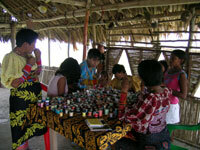 Your purchase will make a substantial difference in the life of an artisan. Please contact us.by phone at 617-975-2001 or by email if you would like to see more examples, have any questions, or would like more information.